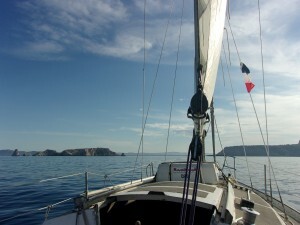 If you have your heart set on buying a property in France, but you still love Spanish traditions and cuisine, perhaps the easiest solution is to buy in the Pyrénées Orientales, the southernmost area of the French Mediterranean that is part of Languedoc Roussillon, and shares borders with both Spain and Andorra. Prior to 1659, much of this department was in fact part of the Principality of Catalonia, and Catalan is still spoken in places. Often known as Northern, or French Catalonia, there are noticeable Spanish influences all over, with Catalan dishes, such as paella, served in local restaurants. You don’t even have to leave the department to enter Spain, with the little town of Llivia, some six kilometres within the French border, still actually a part of Spain. The Pyrénées Orientales has an area of 4,115 km² and a population of 422,000, of which around a quarter live in the department capital of Perpignan. The westernmost area of the department is a regional park, Le Parc Natural Régional des Pyrénées Catalanes, which extends over 138,000 hectares and is home to some 21,000 inhabitants, 64 villages and 12 ski resorts. On average this department enjoys no fewer than 320 days of sunshine per year; it also has a 40km stretch of sandy beaches and 20km of rocky coves in which to enjoy them. There are three river valleys, the Agly, Têt and Tech, and the eastern plain of Roussillon is largely an agricultural area. With a choice of the coast, mountains, forests, rivers and some of the most beautiful, unspoilt countryside in France, it’s little wonder that this department is a haven for sporting enthusiasts, with ski resorts, golf courses, hiking trails, cycling routes, horse-riding, sailing and water-sports. Perpignan is France’s southernmost city, located in the centre of the Roussillon Plain, some 13km from the coast. The river Têt runs through the city. The city was founded in the 10th century, and during its golden age in the 13th century it was a centre for leather work, goldsmiths and cloth manufacture. Having belonged, over the years, to the Counts of Roussillon, the Counts of Barcelona and the Kingdom of Majorca, it was captured by the French in 1642 and formerly ceded by Spain in the Treaty of the Pyrénées some 17 years later. Its major tourist attractions are the Cathedral of St John the Baptist, completed in 1509 and containing many beautiful paintings and sculptures, and the Palace of the Kings of Majorca, built in the 13th century and updated in the 17th century. In 1963 Perpignan’s railway station was hailed by Salvador Dali as ‘the centre of the universe’ and the place where he got his best ideas. Today, there is a monument dedicated to the artist inside the station, with the words ‘Perpignan Centre du Monde‘ painted across one of its platforms. This coastal resort lies on the southern shore of the Etang de Leucate, or Etang de Salses, a 54km² lake that’s shared between the Pyrénées Orientales and its neighbour Aude. It’s a popular base for wind-related sports such as kite and wind-surfing, sailing and paragliding. West of the lake, the Salses-le-Chateau Fortress is the lowest and actually least spectacular of the castles in this area, but it’s the most important, having been built by the Spanish between 1497 and 1504 to guard Perpignan and the coastal road. This popular resort of 9km sandy beaches offers wind and kite surfing, beach volleyball, kayaking and jet skiing. The Natura 2000 listed site of Canet pond is a great place for birdwatching, but there is also a Romanesque church and the 16th century Chateau Vicomtal to visit, and an aquarium by the port. The third biggest marina in France, and a popular base for sailing, with 6km of sandy beaches, and a vibrant bar and nightlife scene. There’s plenty of sporting activities here, including scuba-diving and surfing, tennis, horse-riding and fishing, and for golf enthusiasts, there is a renowned golf course and an academy, offering collective or private lessons for all levels of players. There are botanical gardens located in the Villa Capellans, and two museums, the Musée des Arts Catalan dedicated to Catalan artists, and the Musée Desnoyer, with a small collection of works by Picasso, Dufy, Chagall, Miro and François Desnoyer. A short drive away is the village of Elne, with its fortified church dating from 1069 with a chapel that hosts an Italianate 14th century altarpiece of St Michael. The well-preserved cloister has beautifully decorated capitals and pillars, carved with arabesques, floral patterns, dragons and mermaids. Undoubtedly one of the most popular tourist spots in the department, with its 7km long beach and 3km long promenade, this lovely old town has typical narrow streets filled with shops and restaurants, a lively market selling fresh produce, and a marina. Not only are there numerous churches, chapels, castles and monuments to visit, but two nature reserves, the Mas Larrieu and the Massane Forest, and the Bois des Pins, an historical pine forest near the beach front, with over 8,000 centenarian pines. This Catalan port town, known as ‘the jewel of the Cote Vermeille’ has a rocky coastline with both sand and pebble beaches. Its harbour is protected on one side by the 17th century fortified church of Notre-Dame-des-Anges, whose bell tower was formerly a lighthouse. On the other is the imposing Chateau Royal, built in the 13th century, which has rampart walks offering lovely views, and exhibits on history and contemporary art. In the early twentieth century artists known as the Fauves, or wild beasts, including Braque, Matisse, Picasso and Charles Rennie Mackintosh spent time in Collioure, finding inspiration in the rich Mediterranean light and its beautiful bay. The old quarter of the Mouré is a maze of narrow alleys that are lined with pastel-coloured houses, shops, artists’ studios and cafés – the perfect spot in which to enjoy the local wines. These include Collioure AOC‘s red, white and rosé wines, as well as the dessert and aperatif wines of the Banyuls appellation. Anchovies are a key industry in Collioure, where they are prepared in many different ways and readily available in the seafood restaurants. Awarded for their culinary excellence, they are said to be the best in the world. Just south of Collioure is the Fort Saint-Elme, a 16th century fortress set on a hilltop with magnificent views of the town and the sea. With its beaches, creeks and vineyards, its palm-fringed esplanade, marina and aquarium, Banyuls is another popular tourist resort. This was home to sculptor Aristide Maillol (1861 – 1944) and there is a museum dedicated to his sculptures just outside the town. There is also an 11th century Romanesque church, La Rectorie, to visit, and the lovely botanical Mediterranean garden of Mas de la Serre. For wine lovers a visit to the Terre des Templiers wine cellars is a must, with tasting of Collioure, Banyuls and Banyuls Grand Cru wines on offer. Villefranche de Conflent, west of Perpignan and set within the Parc Naturel, is most famous for its massive ramparts surrounding the medieval streets, now a UNESCO World Heritage site, but Villefranche is also hemmed in by the natural fortifications of the Têt gorge. Here, you’ll find simple houses featuring Romanesque or Gothic doors and windows tucked away the side alleys off the two main streets. A little further south lies Casteil, home to the Abbaye St Martin du Canigou, an 11th century Benedictine chapel set on an imposing rockface overlooking the valley, with a bell tower and crypt. Further west lies Font-Romeu, home to one of France’s biggest ski resorts, used as a training base for France’s Olympic teams. An unusual addition to the area is the Heliodyssee, or Grand Four Solaire d’Odeillo – the world’s largest solar furnace said to be stronger than 10,000 suns – a nine-storey laboratory which has a curved mirror covering one entire side. Llivia – a little piece of Spain not ceded by the Spanish in the 1659 Treaty of the Pyrénées, this charming medieval town has a population of almost 1,500 Catalan-speaking residents, a wide selection of restaurants set within 13 km² of hills and hiking trails. Céret, an easy drive from Argelès-sur-Mer and Collioure, is a major cherry growing area, but it’s also known as the ‘Mecca of Cubism’, and its Musée d’Art Moderne hosts a permanent exhibition of Picasso, Braque, Gris, Manolo and Matisse among others, as well as one major temporary exhibition each year. The town is also home to the biggest Baroque church in Roussillon, the St-Pierre. Less than 15 kms west of Perpignan is the town of Ile-sur-Têt, home to the Orgues d’Ille-sur-Têt, a series of rock formations that combine to create a kind of natural amphitheatre, up to twelve metres high. Nearby is the Gorges de la Fou, a deep natural gorge in the Tech valley, with a metal walkway following the cliff paths. Mont Canigou (2,784 metres altitude), is considered the spiritual home of Catalan, with both French and Spanish Catalans visiting for the summer solstice. Also worth visiting is the 11th century Abbé St Martin du Canigou, formerly a Benedictine abbey. Not far from Font Romeu, the lake Lac des Bouillouses is one of the department’s most beautiful natural reserves, a listed natural site covering 149 hectares, filled with brown and rainbow trout and as such a favourite spot for fishing enthusiasts. This is a major wine-growing area, producing Cotes du Roussillon red, white and rosé wines, as well as the more festive Muscat de Rivesaltes and Banyuls dessert wines. Olives and goats cheese are local specialities, while cherries, apricots, peaches and almonds grow in sun-drenched orchards, and Collioure is famous for its anchovies. Don’t be surprised to find Spanish and Catalan specialities in local shops and restaurants either, with paella, spicy chorizo and turon, or Spanish nougat, widely available. The range of properties in this department varies dramatically, from coastal villas and apartments to Perpignan town houses, and mountain cottages and chalets. Along the coast, studio flats can be found for between €50,000 – €70,000, while one bedroom apartments start from around €150,000. In general, two bedroom properties range from between €175,000 – €250,000, while three to four bedroom villas start from €250,000, depending on the area. 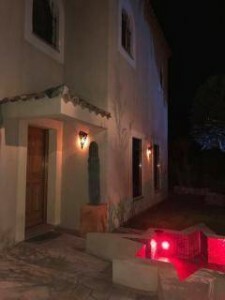 A five bedroom house with a pool in Perpignan might cost the relatively low €225,000, while a seaview villa in Banyuls-sur-Mer can reach as much as €750,000. At the highest range, villas can be found for over €1,000,000. For something simpler, head inland to the villages, and you can still find three bedroom stone properties for as little as €157,000, and characterful village houses for around €275,000. If you are looking for a real Mediterranean house that will provide you with a fabulous summer lifestyle, close to the beach & restaurants of Saint Cyprien, all the while in a quiet and safe neighbourhood this property is for you! The house has been finished to a very high standard with many luxury features all in an idyllic location.